You can find my Kentucky Derby 2012 top four picks posted on HorseRacingNation.com . 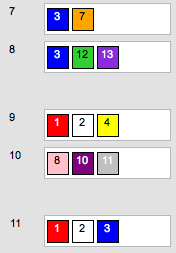 My wagering strategy on the Derby will be to make a trifecta play that uses three horses in the win spot over 5 or 6 horses in the other spots: 3 x 6 x 6. With a 20 horse field there is tremendous value in the trifecta. Check back later for that play. On Kentucky Oaks Day I have a ticket for the 50¢ all stakes Pick 5 that begins in race 7 and ends with the Oaks in race 11. 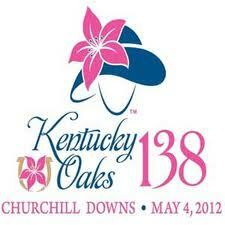 I will also play the two day Pick 3 on the Oaks, the Woodford Reserve Turf Classic, and the Derby. In the Friday Pick 5 the first stake is The Eight Belles (G3) where I will use just two horses and hope to survive: Good Deed and Bob Baffert’s Contested. Leg 2 is the Edgewood Stakes which features the 2012 turf debut of Stephanie’s Kitten, last year’s Breeders’ Cup Juvenile Filly Turf winner. Next is the Alysheba (G2) which features Nates Mineshaft and Mucho Macho Man who are ranked in the NTRA.com/polls of which I am a voter. MMM is currently ranked #1 and Nates Mineshaft is in the 10 spot. Leg 4 is The American Turf (G2) where I will omit the two probable favorites, Silver Max and Howe Great, because their 13 and 14 post positions will make it difficult for them with their on the pace running styles. Finally, in the Kentucky Oaks (G1) I will use three off the pace runners in a race that has a lot of early speed. Here is my ticket for the Oaks/Woodford Reserve/Derby Pick 3 which begins on Friday with the Oaks and ends on Saturday with races 10 and 11. I will use the same three Oaks horses from above. In the Turf race Data Link, Turallure, and Doubles Partner finished one, two, three in the Makers 46 Mile (G1) on April 13th. I feel like one of them will win this race. Will five horses be enough to pick a Derby winner? UPDATE: If the severe weather hits CD and the track becomes sloppy I will add the #6 Broadway Alibi to the first leg of the Pick 3 ticket! This entry was posted in Churchill Downs, Horse Racing Nation, Kentucky Derby, Kentucky Oaks, NTRA polls and tagged Kentucky Derby, Kentucky Oaks, NTRA, Union Rags. Bookmark the permalink.